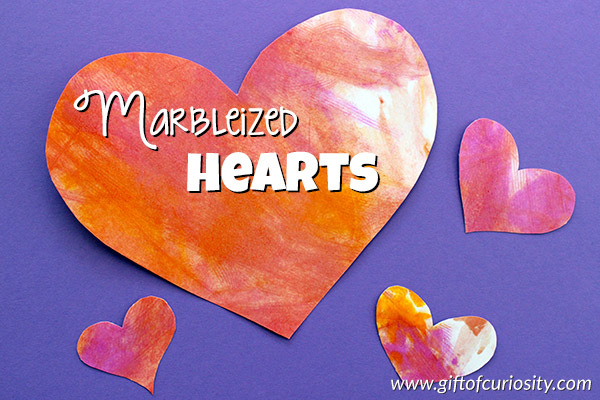 This marbleized heart craft is not only a really fun art project, it can double as a Valentine decoration or card as well! Note: For more Valentine crafts, see my Valentine Activities for Kids page. 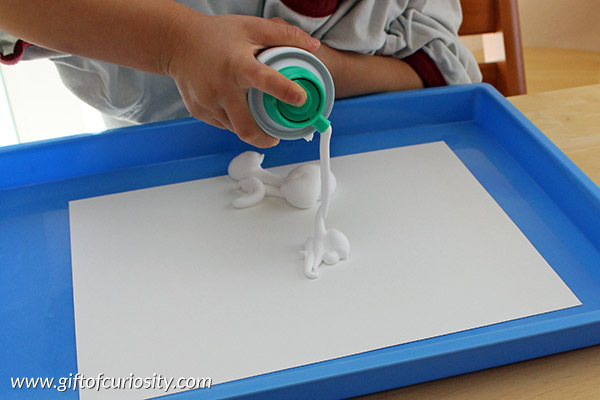 My kids started by squirting a liberal amount of shaving cream onto their sheets of card stock. 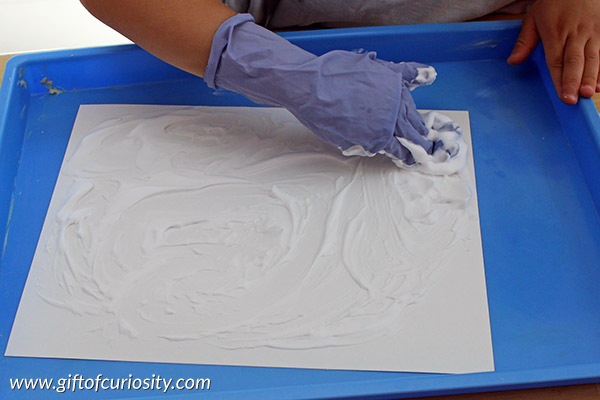 Then my kids used their hands to spread the shaving cream so it covered the entire sheet of card stock. 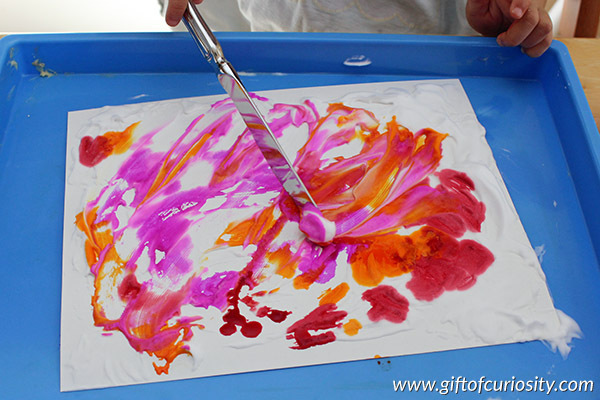 Next, they dripped various colors of liquid watercolor paints onto the shaving cream. 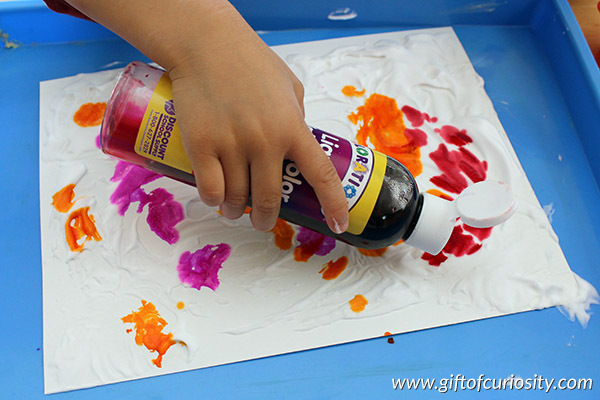 They used a butter knife to spread and swirl the liquid watercolor paints into the shaving cream. 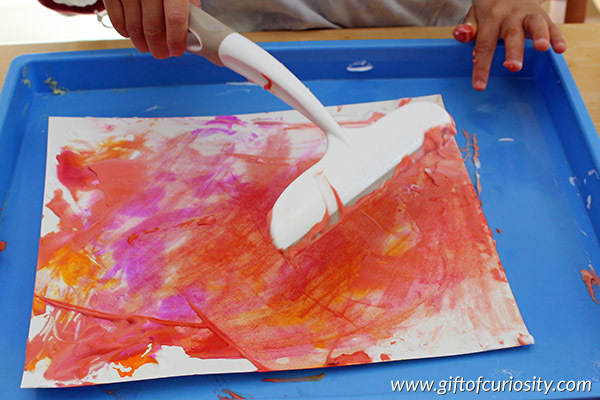 Once they have achieved the look they wanted with their paints, they used a squeegee to clear off all the shaving cream. What was left was a beautiful, marbled look. 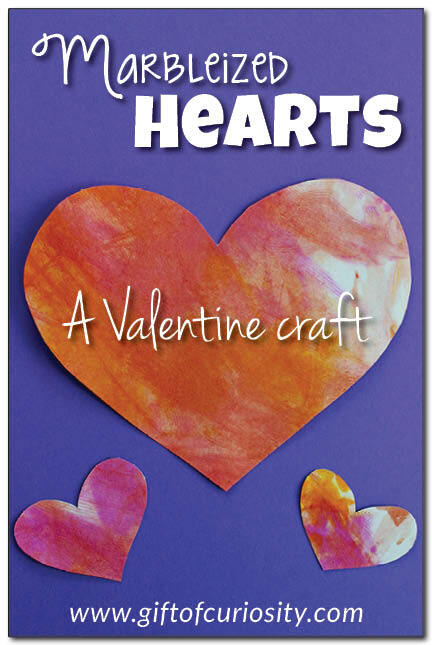 We cut their marbleized paintings into hearts, making them into the perfect Valentine craft!